After the colony ship Elysian Dawn crashed on an unexplored planet, Hanaka Moon, the ship’s healer, was at her wit’s end. She did what she could for the wounded, but it was difficult to get a clear picture of the situation. She gave three ambulatory friends the task of making a census. The job was particularly difficult for Edsen and Jeremiah, who both had close family members in the D category, but they set about it. Marianne located Moon’s family list in the cubicle. It was quite a large document, with each group of families set out on connected sheets. 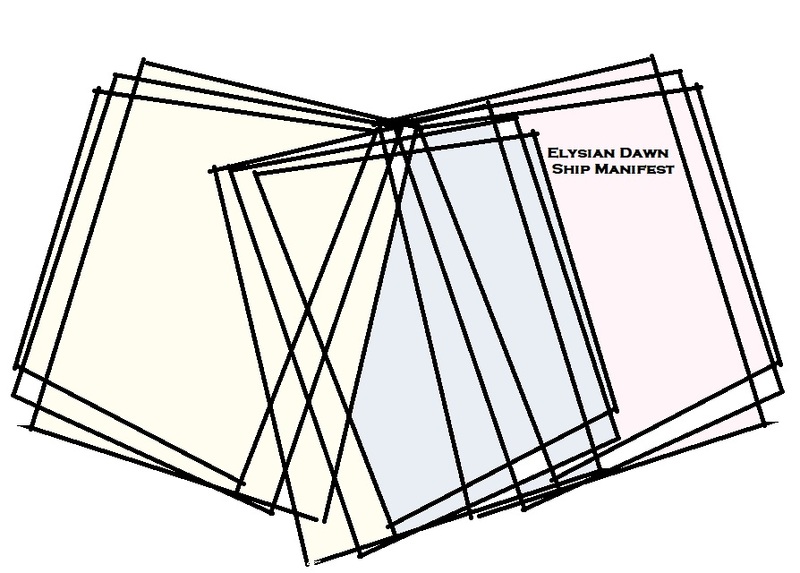 Paper aboard Elysian Dawn was recycled, as was just about everything else, but for this purpose Moon used permasheets, which could be amended and updated multiple times. “We need a system for this,” Marianne said, leafing through the stiff document. “Let’s start by putting in the ones we already know,” Jeremiah suggested. …The census took a great deal of time, and it was still not done when Marianne, worn down by others’ grief, suddenly sat down and crossed her arms over her face. The work continued, but unfortunately, it was an ongoing task which became unimaginably difficult for Marianne.